Gift Tags are always a good idea to have on hand! 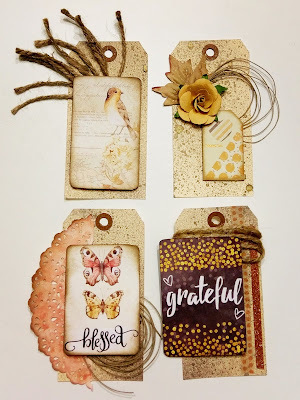 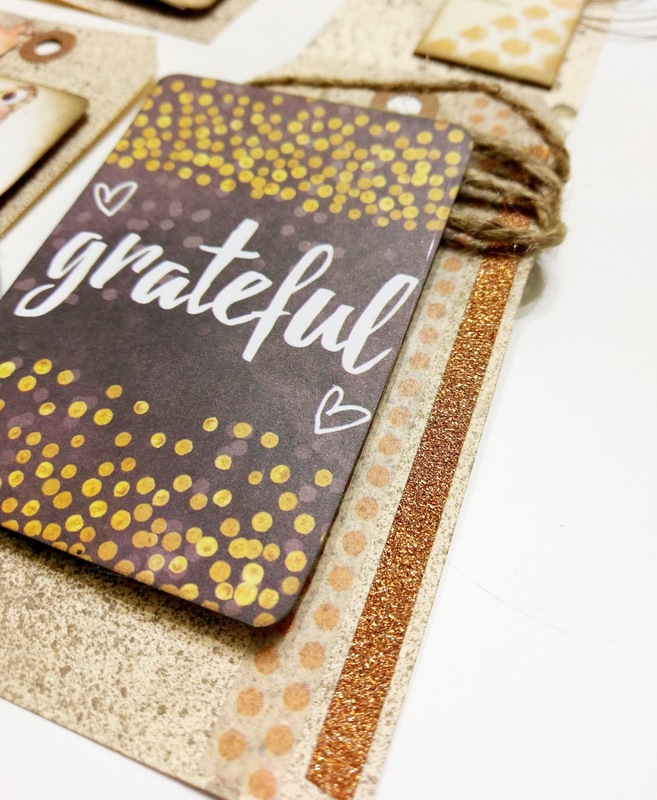 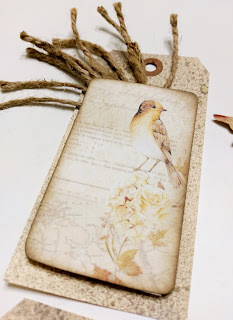 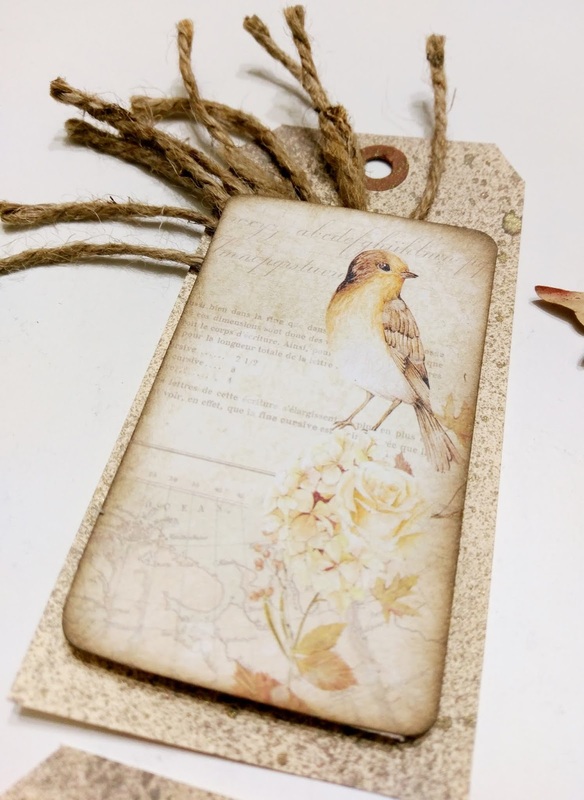 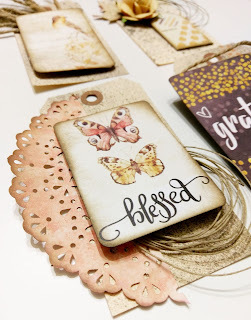 Jeri here with a few ideas of versatile gift tags using the Prima Marketing Amber Moon Collection and some blank manila tags. 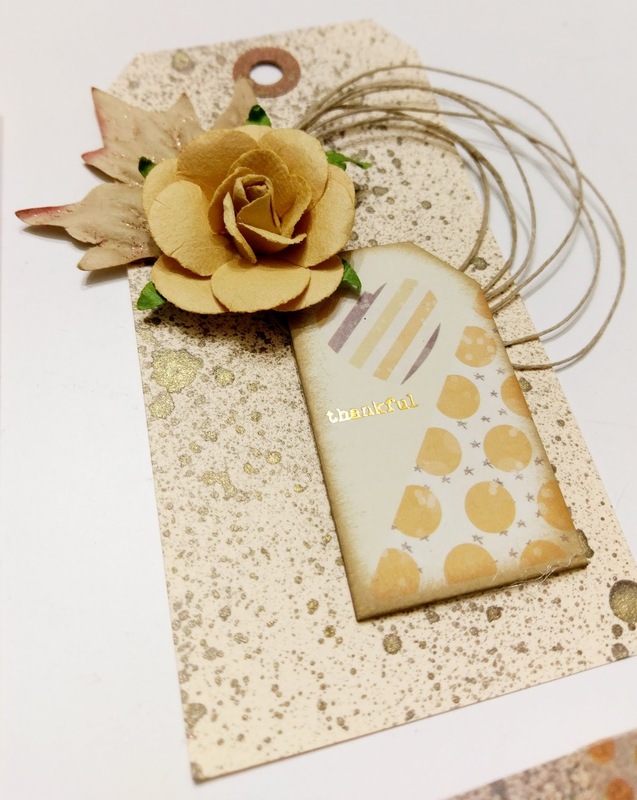 Using blank tags as a base is sure easy. 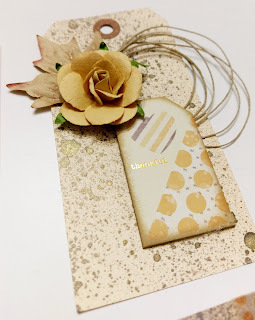 I spritz mine with some paint sprays, and then layered the embellishments on.